A friend of the family and the best science teacher I’ve ever had. I don’t think I ever sent the letter. If I had, I doubt that it would be in my collection of important memorabilia. But at some point in my educational career, I wrote a note to a teacher that changed my life. In it, I thanked him for his advice concerning my spelling. But in reality, he gave me so much more. I don’t remember his giving me this advice but given the state of my spelling in 6th grade (and to this day), I assume this interaction took place…frequently. Mr. Zeigler had quite an influence on my life during my pre-teen days. He was freakishly tall and loved science. This does not mean I hoped to be tall and study science because of Mr. Zeigler. I’m only 5′ 8″ and science is hard and I’m overall lazy. But he could make a metal can shrivel in the snow (something about heated water and temperature changes) and he could fill a test tube with more water than you would ever guess, one drop at a time. It was like a magic act every day in his class! My attempt at a Thank You note. He could also throw an eraser across the room with deadly accuracy and lightning speed. One day, he nailed a talking kid from 30 paces! But Mr. Zeigler did something else that touched me. 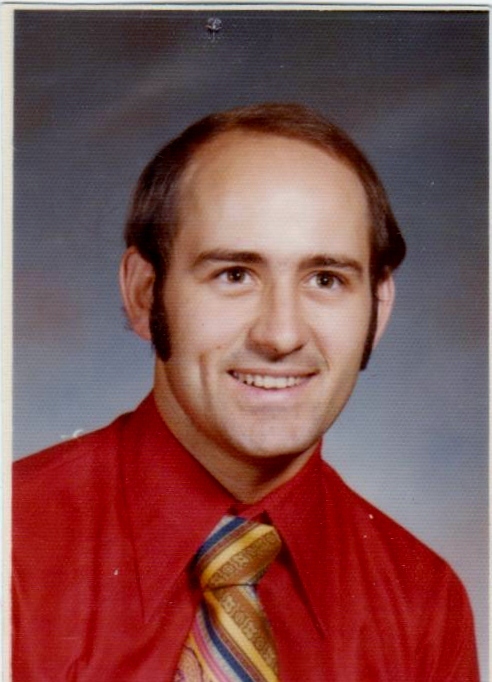 He cared: Ed Zeigler loved his students and he was passionate about his classes and it showed. He was like the Bill Nye The Science Guy at Farmland Elementary. He wanted you to learn because it made you and the world a better place. He cared that you did well. He made every effort to help his students succeed. I don’t know if I ever thanked Mr. Zeigler for his helpful advice with my spelling. I’m sure I never thanked him for his passion and his excellent example of love and grace. 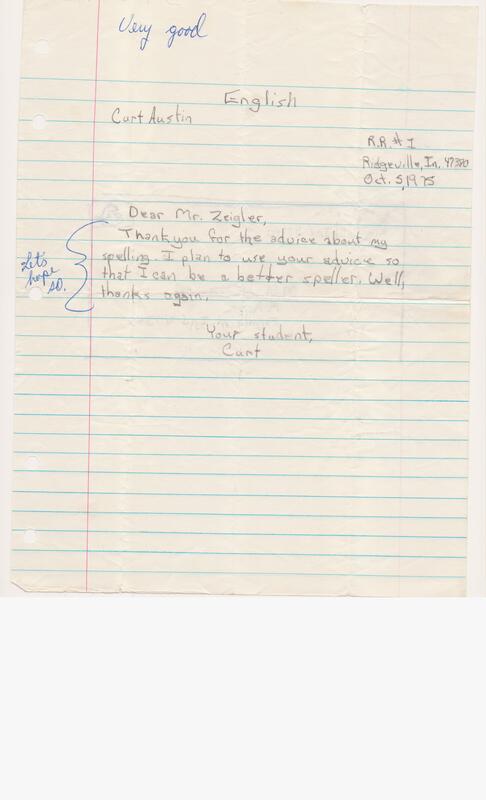 And so, this post is for you, Mr. Zeigler: A thank you from a grateful student. I will never forget the flying eraser event…..I have told that story many times……lol!